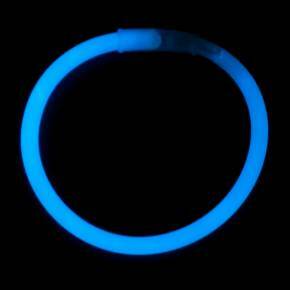 These blue glow bracelets are 8" long, with fasteners to create bracelets and a glow ball! Perfect for parties with kids. 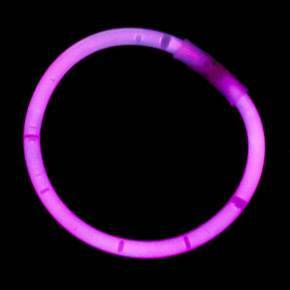 This purple glow bracelet is 8" long, with fasteners to create bracelets or a glow ball! Great for parties and celebrations! 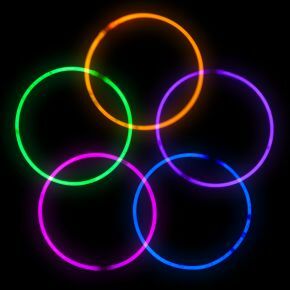 An assorted pack of 25 glow necklaces, including 5 each of blue, green, orange, purple, and pink. 22"-long purple glow necklaces. A great addition to birthday parties! These 22" red, green & blue glow necklaces are perfect for your next party or celebration!